Guerlain lovers will have a chance to glimpse further into the archives of this venerable house by experiencing the reissue of Candide Effluve (True Redolence), a fragrance originally created by Jacques Guerlain in 1922. It was intended to connote the touch and presence of a young woman. Presented in the vintage smoked glass Baccarat flacon, the production of which dates from the 1933, Candide Effluve will be released as a limited edition of 97 pieces. 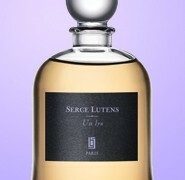 75ml extrait will be priced at 2000 euros/2860 USD. 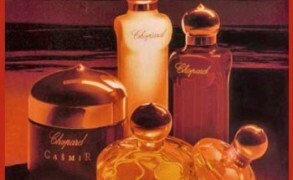 The fragrance is a classical Guerlain, floral-oriental with a lush spicy touch. Now, I only hope that Guerlain will delight us next with Bouquet de Faunes, a truly magnificent fragrance. It is the sensation of darkness turned into the scent. Robin: I will not have the chance to glimpse anything unless you have about $2800 you can lend me. $60 is about all I can come up with on my own. And I suppose I’ll need a bit more to fly to Paris before the 97 bottles are gone, right? BoisdeJasmin: Yes, I will not be glimpsing anything either for that price, but I already have a vintage bottle from the 1930s, so that is fine with me. On the other hand, I know a few collectors who were waiting to place orders for this bottle. We will wait for their thoughts. Dmitri aka Flacon007: Dear Victoria, nice to see your review again. Interesting news on this rare scent of Guerlain. But again the price will be an obstacle for many of us, I am afraid. Thanks to Ezhinka I recently tried Bouquet de Faunes, which at first impression showed a lot of leather, but after several weeks turned to be a sweet and very animalistic scent. katia: Happy to heard from you again ! violetnoir: Hello, darling V! It’s so good to “see” you. I wish I could be as delighted about the Guerlain re-issue. It’s way out of my price range. Maybe at least I will get to see the bottle and sniff it, lol! Style Spy: Hi V, nice to see you!